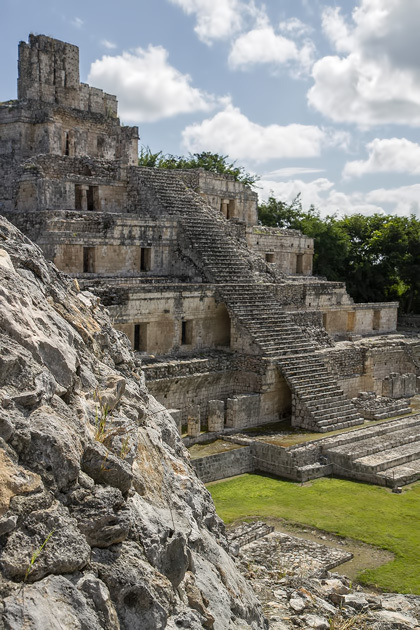 We had circled the path of the old fortifications which once protected the city, and taken a trip into the jungles of the interior to visit Maya ruins, but it wasn’t until our final hours in Campeche that we spent much time exploring the city itself. 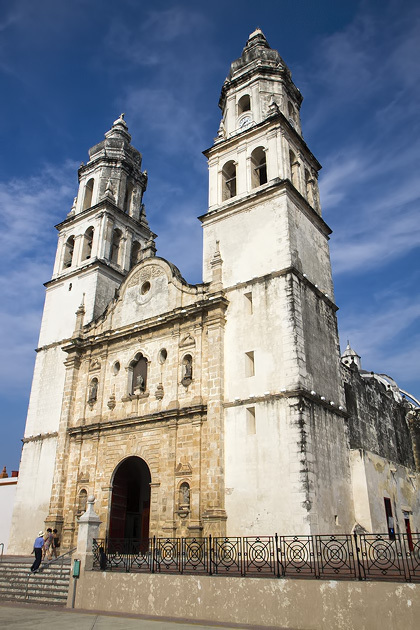 Comprising a five-by-eight grid of streets, the center of Campeche hasn’t changed much since the fortifications were erected in the early 1700s. We ambled along the roads, climbing up onto the exaggeratedly-elevated sidewalks when a car would pass by, and directed ourselves to a few of the city’s sights. First up, the Cathedral of the Immaculate Conception, which took nearly two centuries to complete. The baroque facade is impressive, but inside it’s much the same as any cathedral. It does, however, have a small museum full of macabre religious relics, the best of which is a black wood and silver coffin holding a Jesus corpse. Nearby the cathedral, we stopped in at the Mansión Carvajal. This baroque residence was built by one of the city’s most important businessmen and is today home to government offices. Visitors are free to wander through, although there’s nothing specific to see here, apart from the interesting architecture. Across town, we sought out the Ex-Temple of San Jose, which is most notable for the lighthouse sticking out of its roof, and for the blue and yellow tiles of its exterior. During our visit, this former Jesuit convent was hosting an exhibit of modern art. 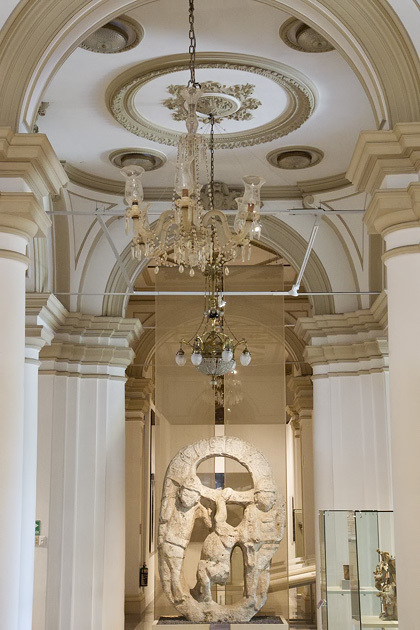 On the southern side of the Plaza Grande, visitors can tour the Centro Cultural Casa 6. This colonial-era home doesn’t have the most inspiring name, but it’s filled with authentic period furniture and does a good job of illuminating how the upper crust of the eighteenth century lived. We only had a brief taste of Campeche, and were left wanting more. Its cobblestone streets, colorful houses and colonial architecture are hard to dislike. To experience the city at the relaxed pace that it seems to encourage, you’d need at least three or four days. Perhaps even 91. Other Sights in Campeche We had circled the path of the old fortifications which once protected the city, and taken a trip into the jungles of the interior to visit Maya ruins, but it wasn't until our final hours in Campeche that we spent much time exploring the city itself.